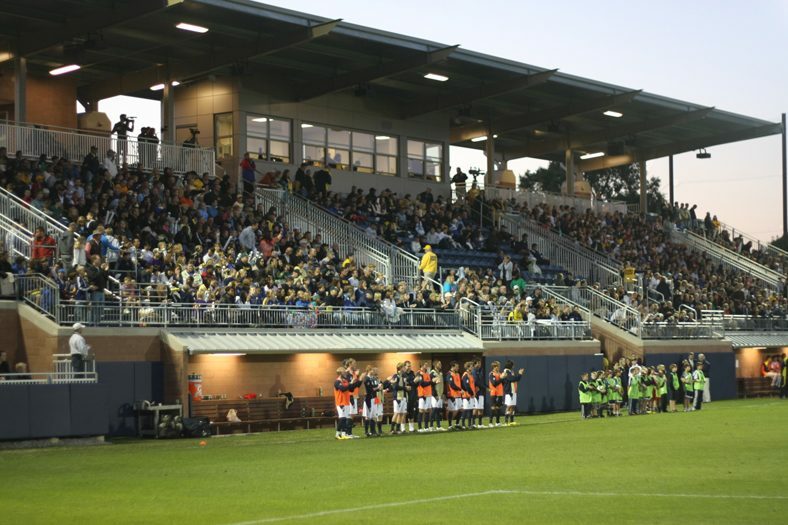 University of Michigan’s Soccer program now has a home to be proud of. 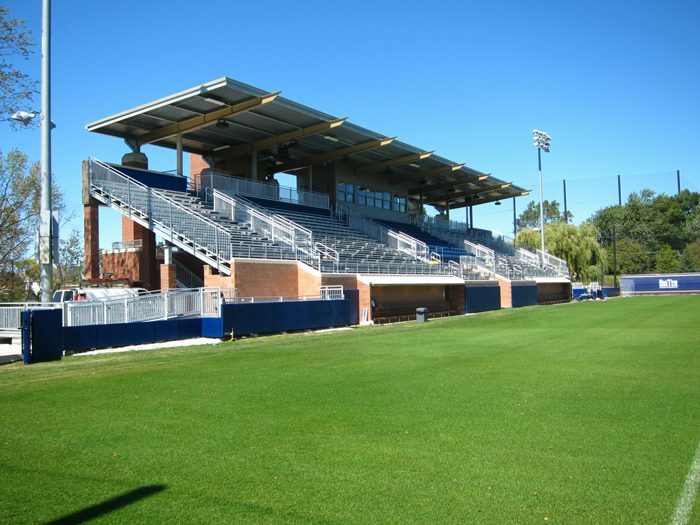 The new team and spectator facility for men’s and women’s soccer is located at the existing competition soccer field. The facility provides approximately 7,350 SF, accommodating program functions for training, competition and fan seating for approximately 1,800. Men’s and women’s varsity locker rooms, a visiting team room, training room, and an official’s locker room complete the core components for the facility. A press booth, toilet rooms, and concession areas are also included. The design of the new facility creates a distinct identity for the soccer program while harmonizing with the existing University design. 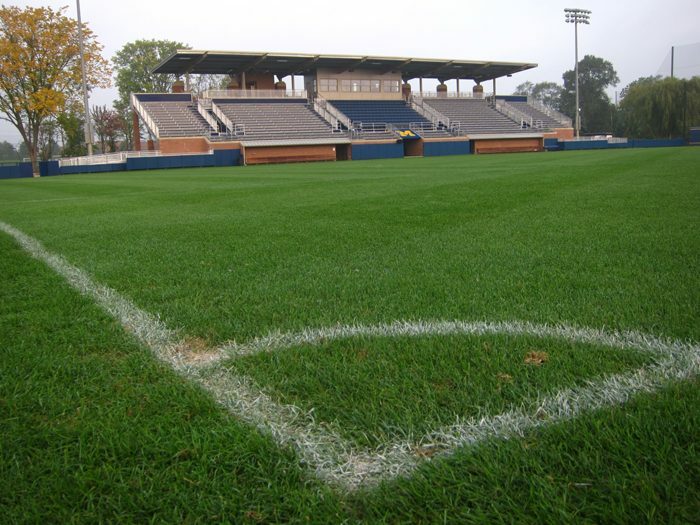 This European-style stadium has seating on both sides of the field. 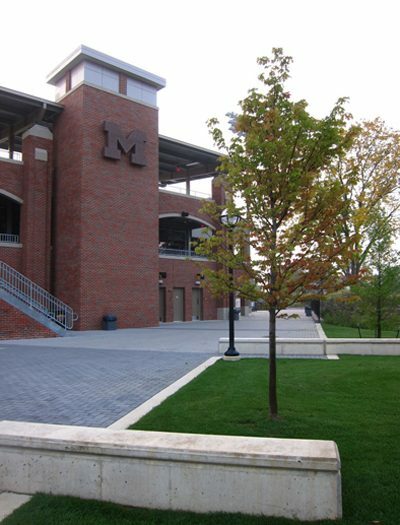 Exterior and interior materials were selected to balance durability with economy while relating to other University athletic buildings. This new stadium can seat over 1,800 spectators.